Top quality marquees both inside and out. Transform your marquee space with a superior quality lining. Whether you’re looking for a new marquee or simply a replacement lining to transform an existing event space, Weatherill Brothers can help. 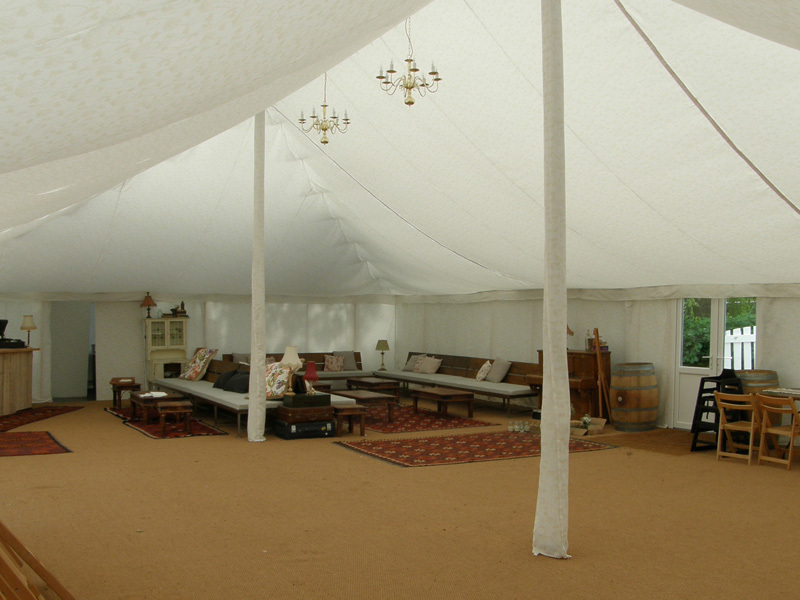 We specialise in creating custom-made marquee linings, using only the best materials. Create a soft and elegant marquee space, with linings designed with lighting options in mind. The marquee consists, at its most basic level, of three main parts: the framework, the cover and the lining. While the framework gives the marquee its strength and integrity, the cover makes sure it is water and windproof, ensuring the comfort of everyone inside. However, it is perhaps the lining that is the most important aesthetic part of the marquee. It’s this that transforms the marquee from a practical to an enjoyable event space. All Weatherill Brothers marquee linings are made to the same superior quality as our frames and covers. We’ve been making linings for the best part of six decades and are recognised as industry leaders in marquee manufacture. All our marquees are supplied with linings but we can also custom design linings to fit existing spaces. So, if you’re looking for marquee lining for sale, you’ve come to the right place. We do not simply sell you a lining... we provide laundering and maintenance services to keep your Lining in perfect condition.